HSI specialise in providing a high quality service in manufacturing, supplying and renovation of furniture. 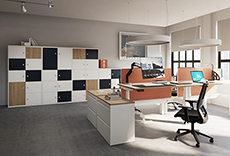 HSI Office Furniture, suppyling seating, desking & storage for all your office needs. Corporate or home office, we supply, design, plan and help with logistics for all your furniture requirements. We’ve built our reputation on quality products, competitive pricing and service our customers rely on. Design your complete office with our consultative service which includes a FREE site visit, FREE planning and FREE design. 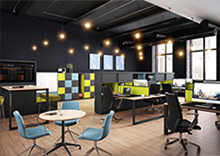 Whether you are designing your reception area, boardroom or simply redesigning an open plan office space, our team will help to identify the right office desks, chairs and storage to meet your needs. We pride ourselves on in-depth product knowledge and sound advice. All our products are tried and tested for durability and usability. We believe our experience is invaluable for achieving maximum customer satisfaction with a cost effective solution. We are based in Reading, Berkshire and serve customers throughout London and the South East. We are proud to represent high quality British manufacturers including Tangent, Bisley, Summit Chairs, Aaron, Eborcraft, Pledge, Plumline, Verco, CMS and Camira. HSI are unique in that we supply an in-house office furniture renovation and reupholstery service at our Workshops in Reading, Berkshire. We can repair and upholster all furniture items, from re-polishing of a boardroom table, to the reupholster and service of office chairs. This can run in conjunction with any new furniture acquisitions to keep consistence within existing furniture schemes and reduce on waste and costs. We believe it is important to have staff that have product knowledge and the skills to deliver and install furniture quickly and professionally. All our staff are trained and have the skills and commitment to complete all projects on time and within a timeframe which is convenient to you and your business.